Mary Beth is certified as an Acute Care Nurse Practitioner by the American Nurses Credentialing Center. She is an associate member of the Americas Hepato-Pancreato-Biliary Association and the Society of Surgical Oncology. She is also involved in the Oncology Nursing Society. She has organized a number of local events to raise funds for surgical outcomes research and has been instrumental in the development of a number of funds designed to provide direct assistance to cancer patients. Mary Beth is a member of the multidisciplinary hepatobiliary/pancreas surgical oncology, melanoma, primary liver tumor, and the sarcoma teams. She cares for patients with benign and malignant diseases of the stomach, liver, gallbladder, and pancreas as well as patients with skin and soft tissue malignancies. She has extensive experience helping patients and their families navigate through the health care system. Mary Beth co-authored a study regarding gene injection therapy for the treatment of metastatic melanoma. 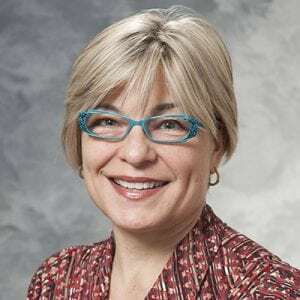 She is currently assisting principal investigators in several clinical trials in the treatment of metastatic melanoma and hepatobiliary/pancreas cancers. She is also working to develop a survivorship study to evaluate quality of life interventions from initial diagnosis through remission.